03 Sep	Published at 1279 × 1660 in An Art Show for the Grandmothers. Bookmark the permalink. Follow any comments here with the RSS feed for this post. 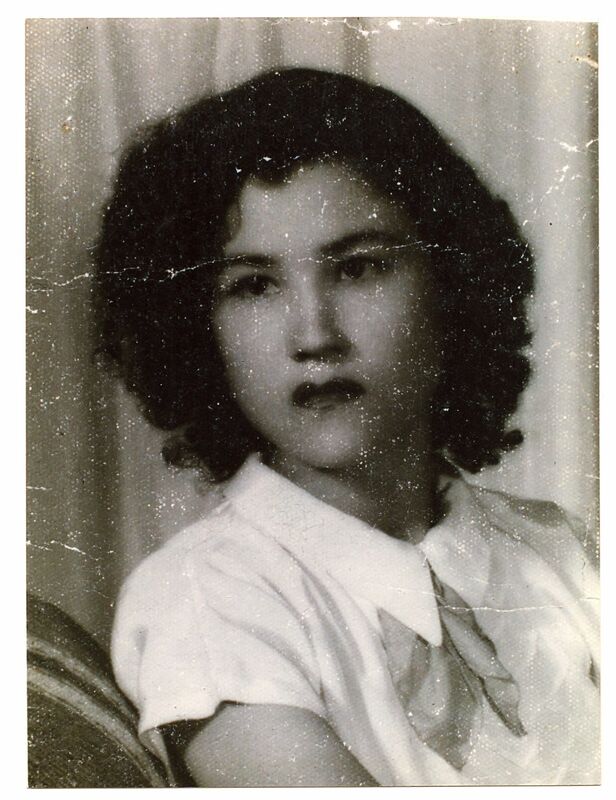 I came across this picture and she is my aunt and I wanted to know how you came across this picture. Esmeralda, her granddaughter, contributed this photo as part of the project. We scanned a copy and used it in the installation along with the dress she had made by a tailor in Mexico. It was an honor to her story be part of the piece!